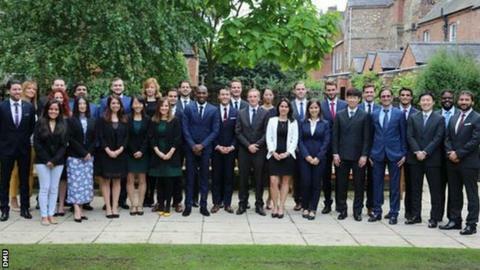 Champions League winner Park Ji-sung will be joining other freshers this year at De Montfort University. The former Manchester United midfielder, from South Korea, will be studying for an international masters degree in management, law, and humanities of sport. "One of my colleagues said it had been a great experience and that many players go into coaching or management" he told the DMU website. "I wanted to improve my knowledge of football around the pitch and then perhaps work in the South Korean football league"
The 35-year-old won four Premier League titles at Manchester United between 2005 and 2012 and captained his national side at the 2010 Fifa World Cup.